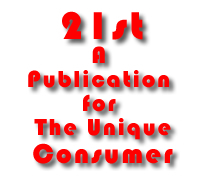 Preface: Ordinarily, 21st does not publish corporate background pieces. But we are making an exception with SpeedChoice. With xDSL and cable modems being pitched at consumers and small businesses around the country, it is useful to make a comparison with alternative "data pipe" technologies like Multichannel Multi-point Distribution Service(see accompanying technical article on MMDS).SpeedChoice is representative of what these alternative digital pipe providers will soon be offering in most parts of the USA. It is thus instructive to compare what this company has to offer in terms of products, services and pricing with xDSL or cable modem services. Things are changing fast, and the high speed "converged" access ballgame is far from over. The fact that SpeedChoice is being purchased by Sprint makes this backgrounder all the more interesting. See also the article in this issue,"Digital Television, Exploring Opportunities for Broadcasters" by Scott Kosch. When all these articles are read back to back, an interesting pattern begins to emerge. A lot of money is about to be made some, and lost by many. Vale 's Dolo column in this regard nicely sums it all up. -- Ed. SpeedChoice is a high-speed wireless service provider that owns, develops and operates broadband Internet, data and/or video distribution systems in nine major metropolitan markets in the Midwest and Southwestern United States. The Company's "Fiber-in-the-Sky"ÂT local loops connect its customers to the rest of the world using the Internet and other dedicated data communications networks. SpeedChoice's wireless conduits are secure, robust and dedicated connections that use mature radio wave spectrum technology to bring distributed data, Internet and video services directly to customers without having to pass through local carrier networks or pay local exchange carrier tariffs. The SpeedChoice network supports the communications needs of small-to-medium sized businesses, home offices, telecommuters, and even residential consumers at very competitive prices. SpeedChoice's products and services rely on a high-performance, Internet Protocol (IP)-based network that links its multi-gigabit local loop capacity to the global communications marketplace via high-speed national fiber-optic backbones. To ensure high performance and signal quality, the Company's network is monitored proactively 24 hours a day, 7 days a week by a dedicated team in its Network Operations Center near Chicago, IL. SpeedChoice has 200 megahertz of exclusively licensed radio wave spectrum at the 2.1 and 2.5-2.7 Gigahertz (GHz) frequency, also known as Multichannel Multi-point Distribution Service (MMDS). The Company uses this frequency to beam high-bandwidth data, Internet and video transmissions to residential homes, businesses and other Internet Service Providers. Using a single transmitter, SpeedChoice can serve a 35-mile radius coverage area that reaches hundreds of thousands of potential residential and business customers. The exclusive spectrum licenses it controls means that the Company can deploy high-speed wireless solutions on secure channels with no interference from other users or other wireless signals. III. What is Wireless Internet/Data Access? The broadband WMAN access provided by SpeedChoice is powered by a new generation of an established wireless technology called Multi-channel Multi-point Distribution Service (MMDS). It is a proven radio wave wireless technology, which has been used for television signal transmission for more than 30 years and more recently has been digitized and adopted to beam data and Internet traffic to a customer's premise. The MMDS wireless spectrum originally consisted of 33 analog video channels, each of which were 6 MHz wide. The evolution of video technology into digital has allowed SpeedChoice to convert these 33 analog MMDS channels into 99 digital data streams, each transmitting at 10 Megabits per second (Mbps). Therefore, SpeedChoice has close to 1 Gigabit per second (Gbps) of capacity from a single transmitter, creating "Fiber-in-the-Sky" wireless network. SpeedChoice's MMDS service is delivered using terrestrial based radio transmitters located at the tallest feasible location in a metropolitan area. For example, in Detroit the transmitter is located on a broadcast TV tower. In Phoenix, SpeedChoice transmits from the top of a mountain, and in Chicago the transmitter is on top of the Sears Tower skyscraper. MMDS frequencies allow SpeedChoice to provide precise, clear, wide-ranging, signal coverage. Each SpeedChoice customer obtains the MMDS signal with an exclusive, small 10" digital receiver placed at the customer's premise with line of sight to the transmitter. And, unlike other wireless technologies such as Local Multi-point Distribution Services (LMDS) or satellite transmission, rain, snow, and/or fog do not interfere with the MMDS signal's performance. Remarkably, this vast capacity is readily expandable by sectorizing SpeedChoice's transmitter antennas, which is re-using the same frequency to different locations, and by cellularization, which is reusing the same frequency by building multiple transmission sites. As the SpeedChoice customer base grows and as customers have increasing bandwidth requirements, the growth in traffic on the SpeedChoice network can be scaled dramatically without adverse impact on SpeedChoice's performance as a reliable, high-speed service. Since radio waves are wireless, the technology does not require the large, expensive land line networks of cable/copper plant and amplifiers utilized by traditional cable/phone companies. Thus, unlike the Regional Bell Operating Companies (RBOCs) and cable Multiple System Operators (MSO) that will spend years and billions of dollars upgrading thousands of miles of outdated network cable plant, wireless technology is a reliable and low cost solution that is available right now for both residential and business customers. And because SpeedChoice does use a wireless network, installations are easy, immediate and not dependent on the availability and/or quality of phone lines. Fortunately for SpeedChoice customers, there is greater service coverage throughout its entire metropolitan areas than offered by other competing high-speed technologies. Digital Subscriber Line (DSL) and Hybrid Fiber Coaxial (HFC) cable modems will both take years to reach the same potential customer base as wireless local loops. Customers simply install a wireless modem on their premises and connect it to their Local Area Network (LAN) or individual PC or Macintosh computer. Once they are hooked up, they are connected to a 10 Megabits-per-second (Mbps) downstream channel for Internet and/or data communications. The solution uses existing telephone lines, ISDN or T1's to carry upstream information requests back to the Internet. As previously mentioned, MMDS cells serve a 35-mile radius coverage area. By comparison, wireless technologies using much higher frequencies, such as Local Multi-point Distribution Service (LMDS), only have a 2-3-mile radius coverage area. It would take over 136 LMDS cells to provide the same coverage as one MMDS cell. As a result of the high cost of building so many cells, these operators have chosen to concentrate mostly on connections serving the denser urban core commercial users. Only MMDS can provide a broadband spectrum umbrella over an entire market with very few cells, thereby offering the capacity to put homes and businesses on one network. In an age when the differentiation between home and business is blurring due to telecommuting via Internet, this becomes a strategic advantage. In the use of the Internet, most customer information flow is asymmetrical. Much more information flows downstream to the customer (web pages, downloaded files) than upstream from the customer (mouse clicks, e-mails, voice). To optimize the costs versus this information flow, it would be helpful to have more downstream capacity than upstream. This is exactly what SpeedChoice does. Even better, it does so with cost savings. Since customers receive the downstream from SpeedChoice, they don't have to pay for an expensive telephone circuit for their downstream traffic. Some customers utilize a telephone circuit for the upstream traffic, while others use SpeedChoice service for two-way communication. With the SpeedChoice two-way service, customers are able to avoid local telephone costs. From a customer's perspective, the pricing from SpeedChoice is much lower than traditional alternatives. For example, customers can pay for an ISDN line and still get up to 10 Mbps downstream for a price much lower than what they would pay for similar upstream and downstream speeds from the local RBOC. This would be equivalent to buying multiple T-1s for the price of one ISDN line. Internet access, telecommuting, web surfing, video conferencing, file transfer and e-mail applications are all applications that will benefit significantly from the SpeedChoice's high-speed asymmetrical wireless configuration. SpeedChoice provides separate and secure Intranets for internal, company-wide communications, as well as an Extranets for suppliers and vendors, allowing users to share confidential information from both inside and outside of the company. Using SpeedChoice, a large corporation can have instantaneous high-speed connections to multi-site office locations across a wide geographical area. Not only can the branch office vendor sites be hooked up, but employee homes are also candidates for SpeedChoice service, allowing telecommuting, and more efficient scheduling of employee work hours. With SpeedChoice, extensive use of a home office is now a reality. A five-megabyte PowerPoint file using SpeedChoice takes about 40 seconds to download; over a conventional 56K modem, that same file would take about 12 minutes. By providing such high speed download rates, SpeedChoice frees up the computer for more productive and efficient working at home options. Companies no longer have to worry about having employees that work at home or outside the office miss important training meetings. Remote employees can now be kept in the loop or trained remotely by downloading training modules or information at their convenience. In addition to providing increased, high-speed bandwidth, SpeedChoice offers an array of enhanced services including e-mail hosting, Virtual Private Networks (VPN), dedicated access, web hosting and web/Internet and intranet development, and secure remote Local Area Network (LAN)/Wide Area Network (WAN) access. SpeedChoice uses its fixed, wireless network to deliver information downstream in conjunction with any standard modem and plain old telephone line for upstream transmission. SpeedChoice delivers exceptional performance to the desktop at speeds, which are typically in excess of T-1 (1.54Mbps) for a fraction of the cost that the local telephone company would charge for access. Ideal for single workstation and small LAN applications, SpeedChoice uses its fixed, wireless network to deliver information downstream in conjunction with any standard modem and POTS line for upstream transmission. SpeedChoice delivers exceptional performance to the desktop at speeds, which are typically in excess of 1.5 Mbps for a fraction of the cost of a T-1. For Local Area Network applications with typically ten to 50 workstations, SpeedChoice's ISDN 128K return delivers downstream connectivity at speeds of 3 to 4 Mbps. Customers with an existing ISDN line can upgrade to SpeedChoice 200 in a matter of days and use the full capacity of their ISDN line for dedicated to upstream transmission. SpeedChoice 1000 uses Frame Relay as your upstream return path, giving you a scalable upstream solution ranging in speeds from 56K to 1.5 Mbps (T-1) while taking advantage of SpeedChoice's high-speed Internet connectivity with download speeds ranging from 2-6 Mbps. The varying speeds of Frame Relay plus SpeedChoice helps businesses of all sizes that are looking for a cost effective tool to support every level of Internet usage over their LAN. If you support heavy Internet use over a large LAN, or you need to support heavy upstream traffic such as access to a web site hosted at your business, then SpeedChoice has the data communications solution to meet your company's needs. SpeedChoice 1200's Fractional DS3 speeds will boost productivity and efficiency by allowing you to maximize your bandwidth value by taking the fullest advantage of a SpeedChoice 10 Mbps downstream channel while allowing you to assign the full capacity of your T-1 to upstream transmission. This combination approaches the performance of a fractional DS-3 circuit, but at a fraction of the cost. Global Internet Roaming Service, provided through a partnership with iPass, allows SpeedChoice customers to cost-effectively access the Internet when traveling. With the availability of more than 2,700 access points in 150 countries, SpeedChoice customers no longer have to pay long-distance charges to connect to their SpeedChoice Internet service while traveling in the United States or overseas. In addition, calls made locally mean significantly improved quality for users who experience noisy or dropped connections with Internet access overseas. Whether for personal or business, Global Internet Roaming gives you convenient connectivity for e-mail, news and Internet surfing. SpeedChoice offers website hosting on state-of-the-art servers monitored at our Network Operations Center (NOC) in Countryside, Illinois and hosted on our local servers in Phoenix and Detroit. Our servers are linked to the Internet Backbone through redundant DS-3 connections at each site to optimize speed and traffic for hosted sites. Both Java and Shockwave-scripted sites can be hosted. Our standard hosting options include up to three Post Office Protocol (POP-3) e-mail addresses; unlimited local aliases on each site and FTP access. SpeedChoice is dedicated to bringing its customers the highest level of customer service and satisfaction. The Company has customer service representatives and technical help desk specialists available 24 hours a day, 7 days per week. The Network Operations Center (NOC) in Countryside, Illinois continuously monitors the SpeedChoice network and corrects potential problems before they begin to impact the customer's network performance. The wireless cable modem used by SpeedChoice employs advanced Simple Network Management Protocol (SNMP) monitoring features, which allow the NOC engineers to remotely test and diagnose the performance of customer related elements, including the digital receiver, the wireless modem, the return telephone circuit, and other customer premise equipment. SpeedChoice's wireless metropolitan gigabit "Fiber-in-the-Sky" network is connected to the rest of the world via Tier 1 Internet backbone providers such as Digex/Intermedia in Detroit and Genuity/GTE Internetworking in Phoenix. In Detroit, Digex provides SpeedChoice with a 45 Mbps (DS-3) dedicated pipe to its national clear channel network with major peering points across the Internet. In Phoenix, SpeedChoice is co-located in GTE Internetworking' s Point of Presence (POP), where it is connected via 100 Mbps Fast Ethernet to the GTE Internetworking backbone. All of our network equipment is backed up by diverse network feeds, uninterruptible power supplies, and diesel generators. SpeedChoice transmitters are redundant, and if a technical problem arises, the frequency would automatically and instantaneously switch to a backup transmitter to maintain uninterrupted service in less than 50 milliseconds. SpeedChoice will be multi-homed with two different backbones at each POP by the second quarter of 1999 when a dual path to Detroit and Phoenix is completed. SpeedChoice's wireless transmission security is achieved in four primary ways:Unlike wired cable modems, the SpeedChoice modems have greater frequency isolation by using narrower channels. Thus, customer traffic is segmented, and can be managed for security level by restricting channel access. All SpeedChoice wireless frequencies are under direct and exclusive control of SpeedChoice. Only SpeedChoice licenses the spectrum for use, so no other party is allowed to have access to it. Second, a SpeedChoice customer must have our exclusive digital receive equipment (not available to the general public) in order to get information from our wireless signals. The third and complimenting factor is that SpeedChoice uses "wireless cable modem." It is a downstream modem that utilizes "routed architecture." This means that the modem will only process data packets that are specifically addressed to its Internet Protocol (IP) address. Many other cable modems employ a bridged or shared architecture and will accept and pass all packets to all users on a cable system, allowing one user to "sniff" another's traffic. Fourth, the SpeedChoice POP uses several forms of user authentication procedures during each on-line handshake session. SpeedChoice has carefully selected network hardware and software vendors with the same outstanding attention devoted to maintaining a secure, reliable, high quality network. These vendors include market leaders such as Cisco, Sun Microsystems, 3Com, Ascend and many others. In addition to its own secure network, SpeedChoice service is compatible with and supports IP-based security tools including firewalls and proxy servers. SpeedChoice's secure network, in tandem with our customer's firewalls and/or proxy servers, can ensure end-to-end encryption, creating a Virtual Private Network (VPN) and providing customers with secure data transmission over the Internet. SpeedChoice is America's largest MMDS wireless service provider currently serving over 67,000 subscribers in 9 markets located in the central and southwestern United States. The Company's FCC authorized frequency rights allows SpeedChoice to reach an estimated 11,100,000 households and 592,000 businesses in nine high profile Business Trading Areas (BTA).SpeedChoice customers include residences or businesses located within the 35-mile radius broadcast range and with line of sight to SpeedChoice's transmitters. The SpeedChoice service is ideal for users who need a high-speed data/Internet connection to send and receive information at very high bit rates. Good examples would include customers who work with large, high-density file transfers common in CAD/CAM, medical imaging, high-resolution graphics, remote access /telecommuting scenarios or power users who use the web for research, business transactions or sharing information with other business partners. SpeedChoice's products and services offer the Internet user T-1 (1.5 Mbps) and greater download speeds at prices less than users would expect to pay for ISDN data rates (128 Kbps). SpeedChoice offers a wide range of business-to-business pricing that is designed to meet the individual requirements of any business. Prices start as low as $20 per month per user and multi-year contracts for multiple users can be under $500 per year for multi-user contracts that extend over 5 years. Using DigitalChoice TV's advanced interactive capabilities, customers will actually be able to choose from a list of audio and video sources to build their very own custom programming guide. The DigitalChoice TV service is the first and only TV service in Phoenix to deliver a full digital signal that includes national as well as local programming and news from network affiliates such as ABC, CBS, FOX, NBC, UPN, and WB in the same 100% digital format and clarity. This means that unlike those who subscribe to direct broadcast satellite services, DigitalChoice customers will not require a second antenna or cable TV subscription to tune into local TV stations. It also means that DigitalChoice customers will receive better picture quality on local stations than with cable television, which is still delivered using analog signal (non-digital) format. The DigitalChoice TV service adds another unique innovation to television viewing. Customers will be able to choose much of what their channel lineup includes. Unlike services that require customers to buy all basic programs whether they want to or not, DigitalChoice TV allows customers to customize their viewing options starting with a Foundation Group of selections, then adding various levels of Digital Star packages. The Digital Star packages allow users to add more channels to the Foundation Group selecting from twelve programming groups that include: Sports, Family, Discovery & History, News & Info, Movie Group, HBO Group, Cinemax Group, Showtime Group, The Movie Channel Group, Starz! Group and the Pay-Per-View Group. Customers can view a complete program listing at www.digitalchoicetv.net. The DigitalChoice TV program bundle also includes an extra bonus in addition to its video programming. SpeedChoice is also offering customers Music Choice (sm), a premium audio service that allows users to choose from 40 different music channels in 9 music genres including Pop/Rock, Country, Urban, Oldies, Jazz, Specialty, Latin, Religious and Classical. Unlike local radio stations, Music Choice plays music in 100% digital format with no disc jockey chatter and no advertising. The addition of the DigitalChoice TV and Music Choice services to SpeedChoice's product bundle now makes it possible for Phoenix business and residential customers to enjoy digital television, digital music, high-speed data networking and high-speed Internet access connections, all from a single vendor. DigitalChoice TV's service uses a different type of signal than DBS. It's a signal that's not affected by rain, sleet or snow or other types of interference such as ghosting, snow or wavy lines, experienced by regular analog television broadcasts. This is possible because DigitalChoice TV uses the more robust Multi-channel Multi-point Distribution Service (MMDS) frequency band to transmit its signal. DBS television services transmit their signals at 12 GHz via geo-stationary satellites located 22,500 miles away. The extremely high frequency and low power available from distant broadcast satellites make the service vulnerable to signal outages due to rain or snow fades, and solar outages. DigitalChoice TV signals are sent from a local Phoenix transmitter site at a much lower frequency and higher power allowing uninterrupted reception no matter what the weather conditions. DBS subscribers must also use a separate television antenna or cable TV subscription to receive local broadcasts such as the network affiliates and local news. With DigitalChoice TV, customers will be able to receive both local and national programming with a single receiver in state of the art 100% digital format. No other TV service in Phoenix provides this service. "As a group, the local broadcast TV stations are still more popular than basic cable channels. It's about time there was a service that transmitted them in the highest possible quality," said Rowley. As mentioned earlier, DigitalChoice TV's format is 100% digital for all local and national programming; that includes local news, weather, sports and independent stations. Even DigitalChoice's music channels and movie surround sound are delivered in a state-of-the-art, AC 3 Dolby, digital format. This is not the case for local cable companies in the Phoenix area. The cable companies offer their regular channel line up in analog only (non-digital) format. The only channels they offer customers in digital format are their special Pay-Per-Events. Auto Tune - automatically changes the television to your favorite program at a predetermined time, even if you forget your favorite show is on. Future Recording - This feature allows users to replace hard-to-program VCRs with an on-screen, menu-driven programming process using the remote control. Select Channels - This feature creates a user-defined, on-screen menu of your favorite channels. Theme - Allows users to start a program search by selecting from a group of programs with the same theme, such as sports or movies. Parental Control - Allows parents to set up passwords to restrict viewing of programs by channel, specific time periods or by rating/content for one or more defined TV channels. Grazing - As you flip through television channels, an Info Window pops up for each channel that lets you know the name of the program and time left, even if a commercial is on during your search. Browsing - As you continue watching your current program, Browsing allows you to flip through other programs using Info Windows to see what's on other channels. The lowest all-in cost for DigitalChoice TV basic service and equipment rental is $39.90 per month. The service is offered in conjunction with the SpeedChoice high speed Internet access service for a $199.95 installation fee. Customers who already have SpeedChoice Internet service can add DigitalChoice TV for a one-time installation fee of $49.95 and will receive $10 discount on their monthly SpeedChoice Internet bill. DigitalChoice TV service can be purchased without SpeedChoice for a one-time installation fee of $399.95. The service is delivered using terrestrial based, radio transmitters centrally located in a metropolitan area. In Phoenix, for example, the transmitter is located on South Mountain. Each customer obtains the MMDS signal with a receiver that can be as small as a 10" placed at the customer's location with line of sight to the transmitter. MMDS frequencies allow SpeedChoice to provide precise, clear, wide-ranging, signal coverage. Unlike services using the unlicensed Industrial Scientific Medical (ISM) spectrum, customers are protected from interference from other users. SpeedChoice is headquartered in Shelton, Connecticut, and has exclusive rights to MMDS frequencies in major metropolitan areas of Arizona, Illinois, Indiana, Missouri, Michigan, New Mexico, Utah and Wisconsin More information on SpeedChoice's products and services is available at www.digitalchoicetv.net or http://www.speedchoice.com SpeedChoice is a wholly owned subsidiary of People's Choice TV Corp. (PCTV OTC: BB). PCTV has recently agreed to be acquired by Sprint Corporation, in a cash transaction that is projected to close during the summer.